A few seniors are choosing life on a cruise ship over years in a retirement community. But is it really cheaper? Some people love cruise ships so much they are retiring on them. In 2015, 86-year-old Lee Wachtstetter sold her home after her husband died, and moved to a luxury cruise ship (USA Today). In 2008, the BBC reported that 89-year-old Beatrice Muller was residing on the cruise ship Queen Elizabeth 2 (BBC). Other retirees opt to live in a small apartment and spend most of their year onboard. Those who have chosen the seafaring life claim that living on a cruise ship is cheaper than a retirement home. Not only is it a better deal, they say, but you get housekeeping services, diverse entertainment and programs, meals any time you want, pools and fitness centers. Plus you’re surrounded by hundreds of happy people, and it’s easy to make friends. 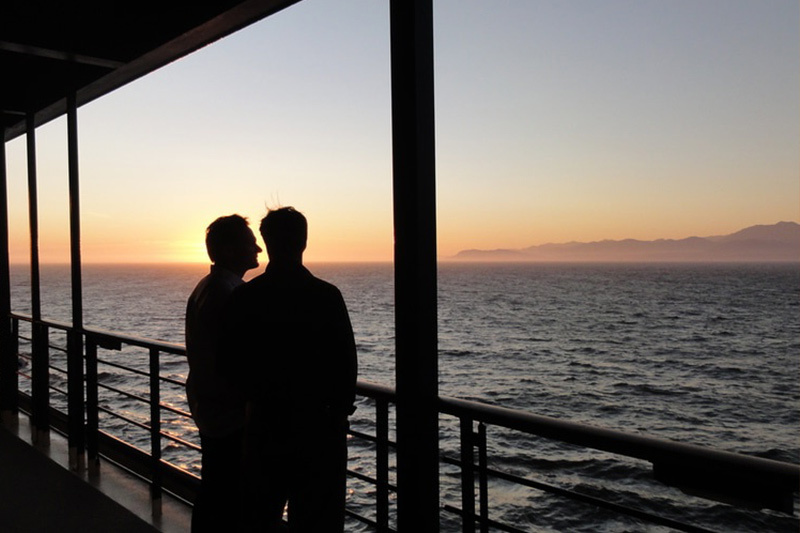 Frequent or permanent passengers say they get special care from the crew, with whom they may have formed friendships over time. For those with health issues, cruise ships are staffed with doctors and nurses, as well as medical equipment. In fact, this concept is so popular that last year Crystal Cruises announced plans for "Residences at Sea"—suites that people can buy and live in while they cruise the world in comfort. Whether life on a cruise ship is a better deal than retirement homes depends on many factors, including the price of the cruise and the cost of an apartment in your senior community. If you have serious health issues, the medical staff onboard might not be in a position to help, and an ambulance ride consists of an expensive airlift and could delay medical assistance. "I've got full-time maid service, great dining rooms, doctors, medical center (where she volunteers), a spa, beauty salon, computer center, entertainment, cultural activities and, best of all, dancing and bridge," Muller told the BBC. That’s definitely one way for smooth sailing through your senior years. “Ahoy matey, more folks retiring on a cruise ship,” July 27, 2016 CNBC. “Is a Cruise Ship Retirement Cheaper than Assisted Living?” Feb. 9, 2015, A Place for Mom.